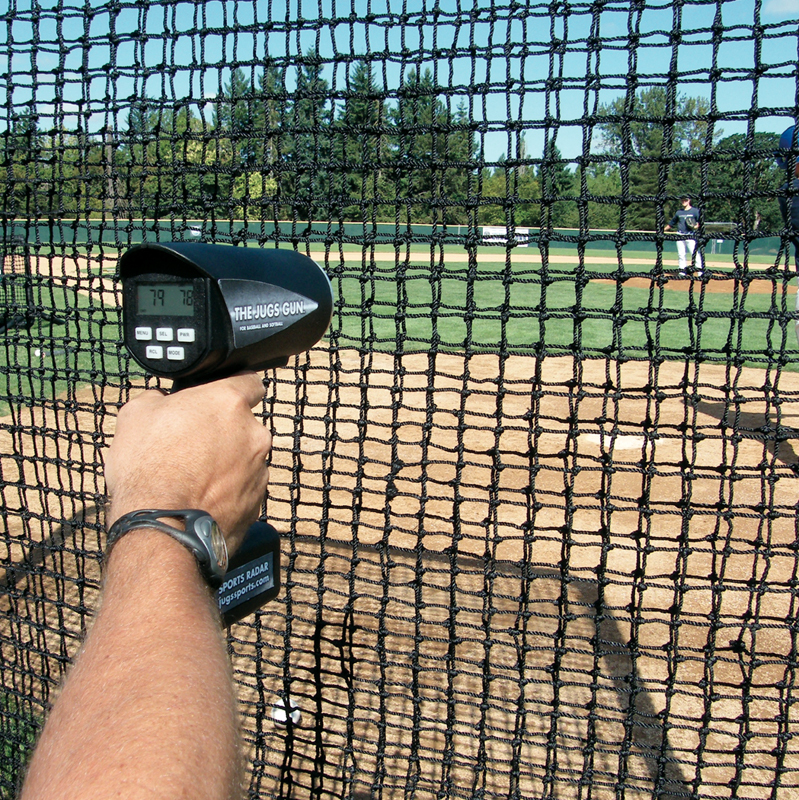 The Sports Radar Gun that all others are measured by — the benchmark since 1971. 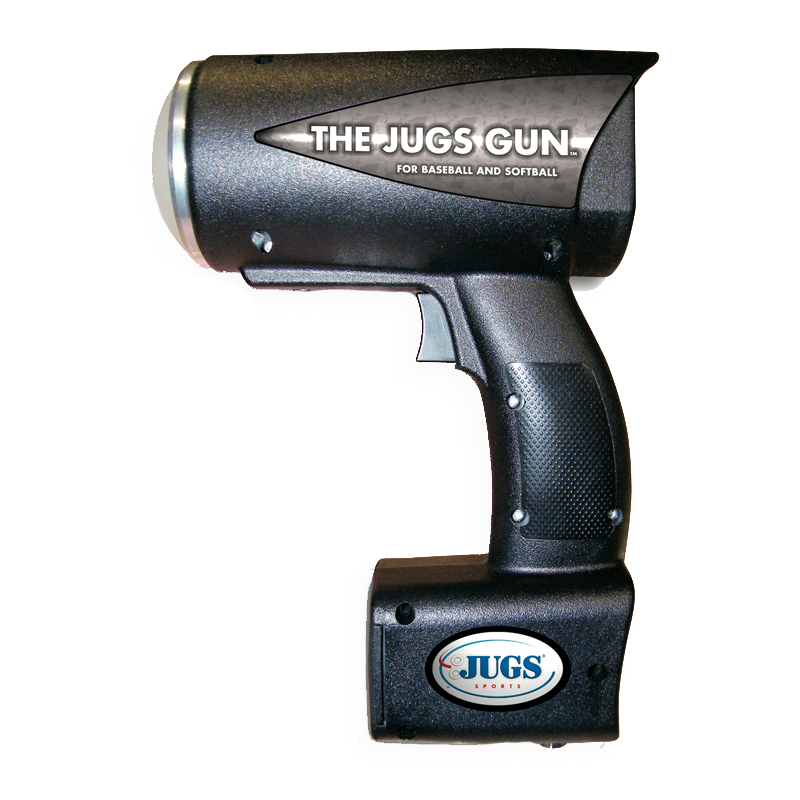 The JUGS Gun™ comes with Digital Signal Processing (DSP) state-of-the-art technology and is fully guaranteed for an industry-best two years. The JUGS Gun™ is guaranteed to have an accuracy index of ±0.5 mph. It measures both MPH and KPH and has a speed range of 5-140 mph (8-224 kph). Its greater distance range is up to 300 ft. Operates in two user-friendly modes—Trigger mode and Continuous mode. Trigger Mode:Pulling the trigger reads the speed of the pitch. Speed remains on the radar gun for the duration you set in the menu. Default is 5 seconds. Continuous Mode:Pulling the trigger twice reads the speed of the pitch automatically, then clears itself to read the speed of the next pitch. FAST,LAST and FAST/LAST Functions:FAST captures readings at the release point. LAST captures readings at the plate. FAST/LAST captures both. Five pitch recall: You can view the last five pitches thrown with the recall feature. Data port for transmitting data to a display or computer. 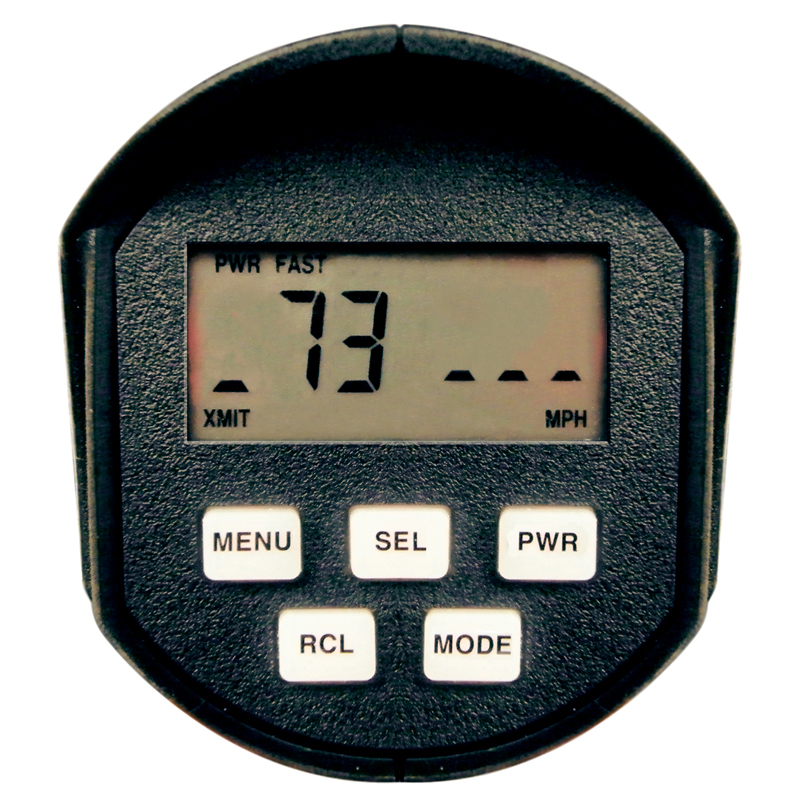 6 NiMH rechargeable batteries power your radar gun for up to a week of use under normal operating conditions—Batteries recharge in just 2 hours. Rotating legs and hanging hooks. Speed Range Display from 0 to 199 mph or kph. Giant 24" LED display numbers. 500-foot wireless range. Compatible with the R2000 radar gun and The JUGS Gun.